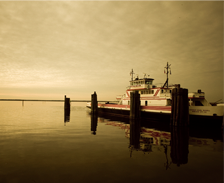 Whether you are looking for a fun filled day or looking for a new waterfront home on the Pamlico/Tar River in Eastern North Carolina, Miss Bea and I can help you accomplish either or both of the above – just tell me what you would like to do while onboard! We can pick you up in Washington, Bath or at another mutually agreed upon dock (perhaps a waterfront home you would like to view from the water). Wouldn’t it be great to explore the water near a potential new home before you bought it? If you are just looking for a fun-filled, day on the water (perhaps taking pictures of area wildlife) her cabin can keep you out of the sun on hot days or if it starts to rain, keep you dry. I’m not a great fisherman, so if you want to go fishing, I can recommend an excellent charter boat for inshore fishing! Miss Bea is a 22′ C-Dory requiring only 18 inches of water to navigate. 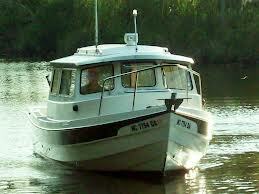 This makes her ideal for exploring the sometimes shallow water of our river system. She is fitted with all Coast Guard required safety equipment and is inspected annually by the Coast Guard Auxiliary. Adequate liability insurance is provided. I’ve been boating for nearly forty years and have my Coast Guard license (OUPV).